The 925 silver chandelier design measures 35mm x 14mm (approx) and there are six light blue droplets which dangle from it. 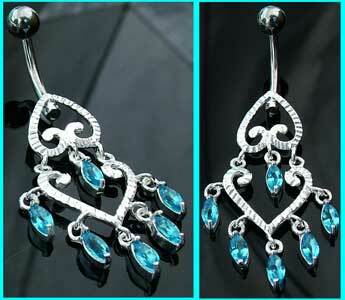 These dangly belly button bars are also available in clear and light pink. The best eCommerce software by ShopFactory powers P12329. All-in one eCommerce and shopping cart software.